It is no secret we are proud to be living in Slovenia, after all, this tiny country in Central Europe is such a gorgeous and diverse place. 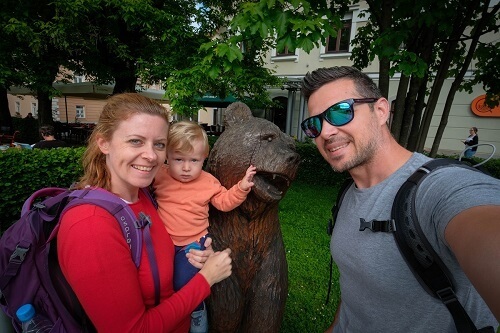 We recently were exploring a region, which is less than a drive away by car from Ljubljana, the capital of Slovenia, but even though it does not get many visitors. 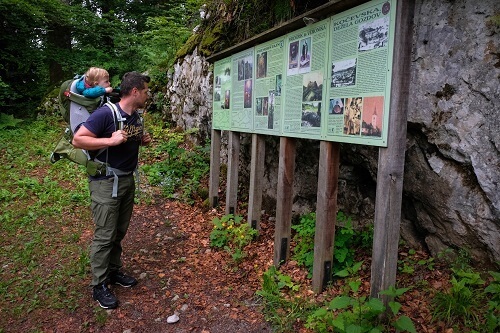 If you are looking for wilderness countryside, with lush forests and some great hiking spots, you really should consider visiting Kočevsko region, while in Slovenia. 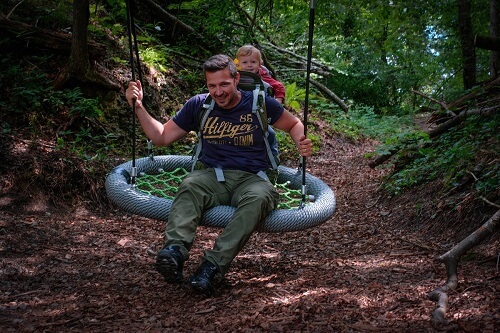 In fact, if you are keen on outdoor activities, you will probably want to stay there for a day or two. We spent three days in Kočevsko and even though it might sound a lot for a small region, we could easily be there for a day or two more. What all can you do and see in Kočevsko? 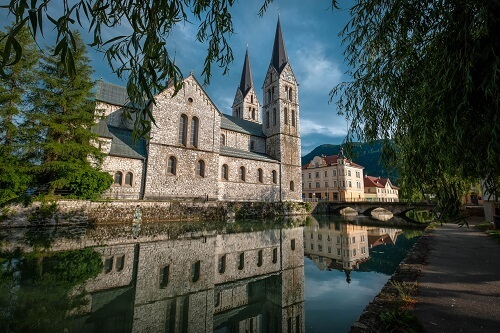 Kočevje is a small town and more or less people stop there for a cup of coffee and a walk to see the magnificent church of St. Bartholomew date from 14th century. 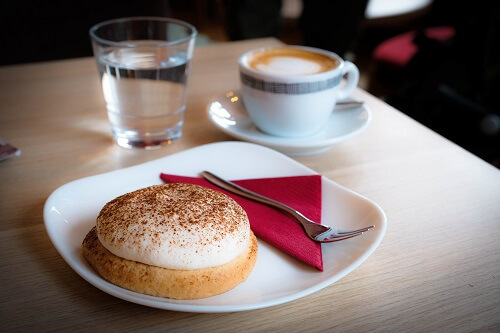 And if you are already there, just across the street of the church, you can find Mestna kavarna (City cafe), where you have to try the local dessert – Kočevska bombica. 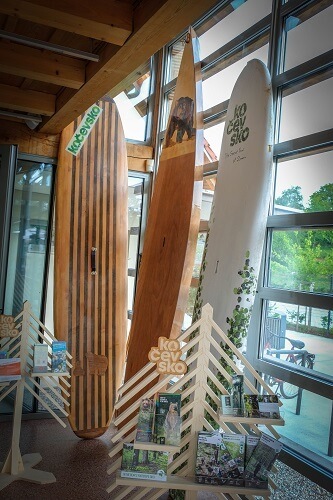 Stand up paddling is becoming one of the most popular water sports in Slovenia and you can have a unique experience also at Kočevje Lake, with renting a wooden SUP, made from a local artist. The Kočevje Lake is an artificial Lake, which was once actually an opencast mining pit of the Kočevje brown coal mine. The Lake is also a nice place for fishing and diving. Kočevsko is truly a great outdoor region. Apart from hiking paths, there are also more than 475 kilometers of maintained and marked cycling paths, which will take you to different kind of tourist attractions. 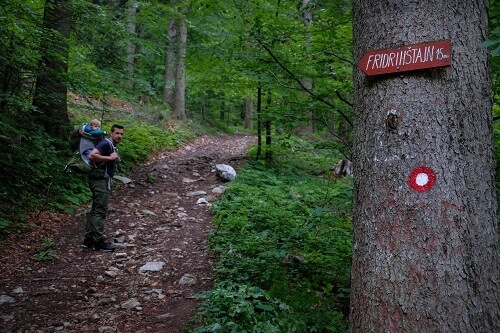 Because we can find lots of bears in the forest of Kočevsko, the region is also called a land of bears. But walking around forests and taking a guided tour, you can really spot different kind of animals in their natural habitat. 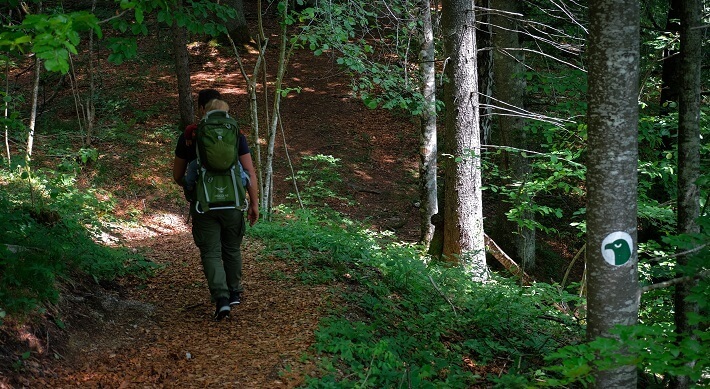 When it comes to hiking Kočevsko is also a great region in Slovenia for it. 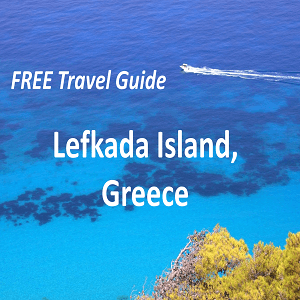 There are 23 marked hiking paths, what in total means more than 370 kilometers of walks around forests and unspoiled nature. 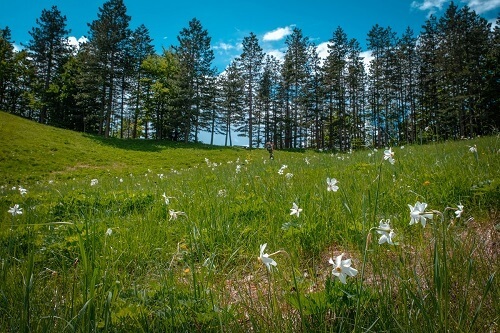 One of the popular hiking spots is Krempa – especially nice in May with daffodils in full bloom or during autumn months, when the filed beneath the top is covered in violet because of the Calluna vulgaris. 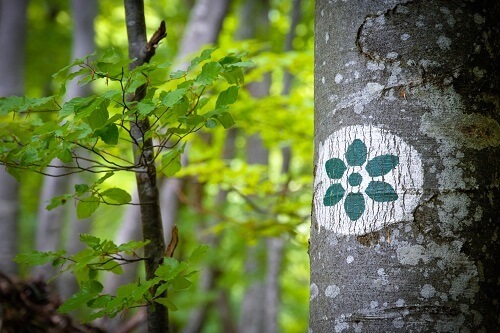 The hiking paths are well marked with red-white dots, but you will also notice special kind of marking, like daffodile, eagel, bear… each path has its own theme and with that comes its special mark. 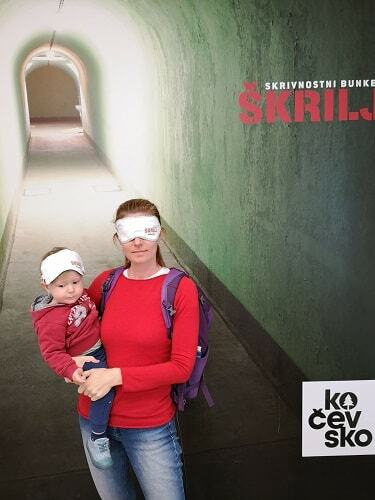 The Škrilj bunker was wll kept secret for decades and now it is finally opened to visitors. If you are looking for war tourist attractions from formal Yugoslavian Republic, you should definitelly put it on your bucket list. The Škrilj bunker is stil under Slovenian army ownership and the only way to see it is by a quided tour, which you should book in advance. 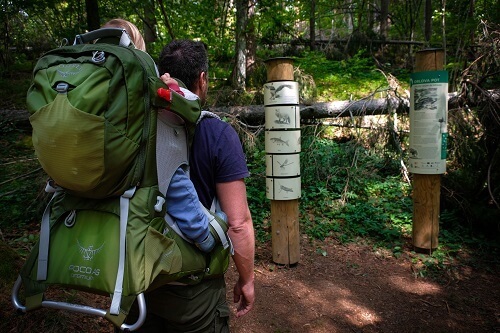 Traveling with kids or without them, a really nice walking path can be found at the Reško Lake. The area is home to different wild animals, including the white tail eagle. 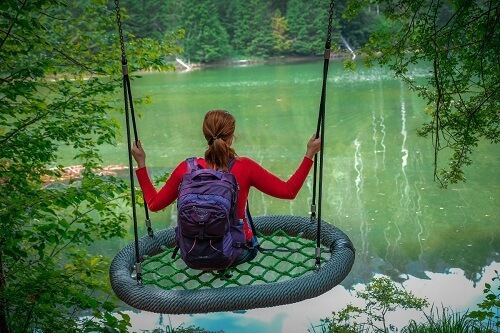 And while there, do find one of the nicest swings with the view in Slovenia. 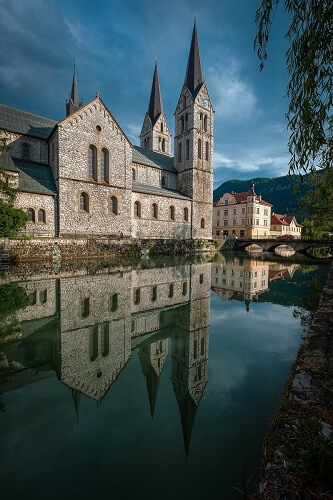 Slovenia is full with castles and ruins. 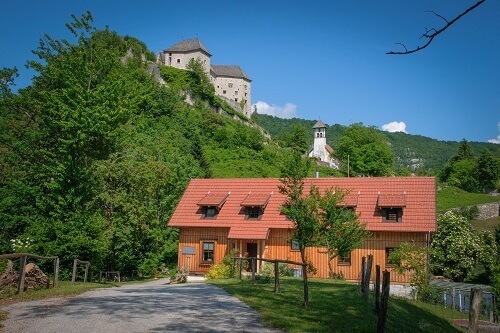 The Kostel castle is currently being under renovation, but it is already beautiful with its location above the hill, offering great views. If you’re keen on hiking there is a marked hiking trail to the Fridrihštajn castle ruins, offering great views over Kočevje and surroundings on a clear day. The Kolpa River is a perfect stop during hot summer months as it is known as one of the cleanest and warmest rivers in Slovenia. In fact, the water temperature scan even reach 30°C. But even though you will not be there for swiming, you can still enjoy piece and quiet, surrounded with nature. 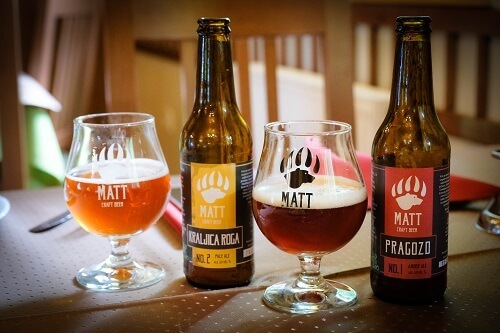 If you enjoy craft beers, you can also find a local producer close to the Kočevje town. 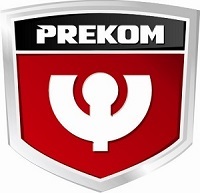 You will recognize it after bear logo and cool names, each describing one feature of Kočevsko region. 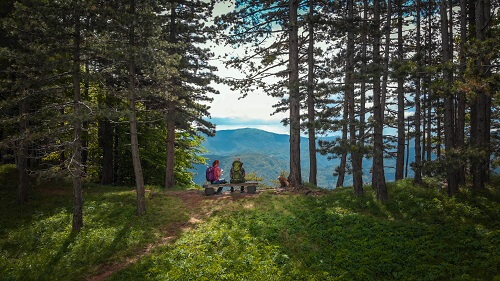 Kočevsko is very proud for their unspoiled forest and you can find one of the largest firs in Slovenia here – its perimeter is more than 600 centimeters, so do make sure to give the queen a hug. 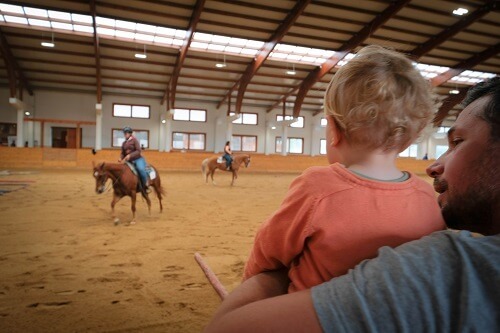 Our toddler really enjoys animals so we visited also the Marina ranch, where horses are home. The ranch is really beautiful and you can even book a stay in one of their apartments. 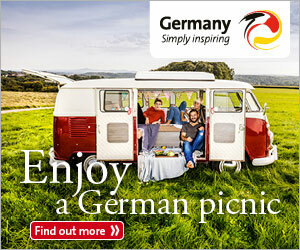 The owners also organize riding school or picnics surrounded with nature. Our list of things to do and see can go on and on, but we decided to leave the rest to yourself. After all the region and mysterious forest of Slovenia is always full of surprises and there is no better way than finding them by yourself. 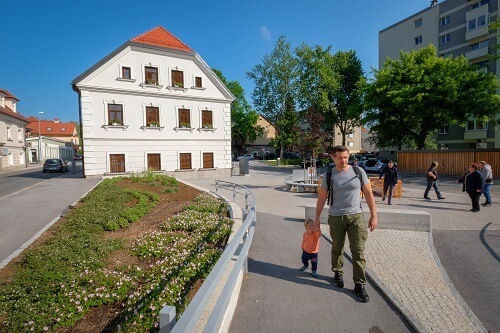 You have several options in Kočevsko – from homestays, apartments, camping grounds and a hostel, but we will describe two in Kočevje town as it is a great central base for exploration. 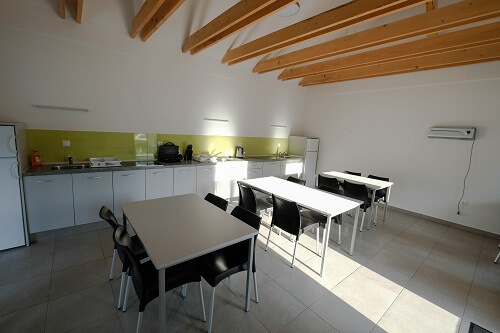 If you want to be in the town center and near cafes, you will not miss with this gorgeous and chick Bearlog hostel, opened in 2017. 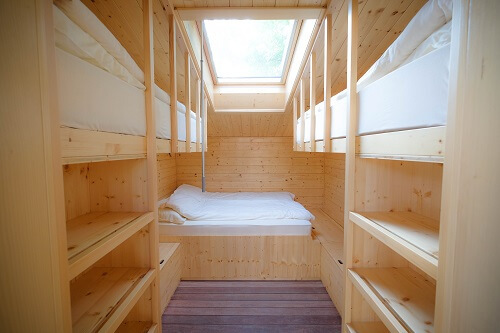 Bearlog hostel has dormitory rooms, but also private rooms with private bathroom, which are great for families or couples. There’s even a private room for handycaped people available in the ground floor. 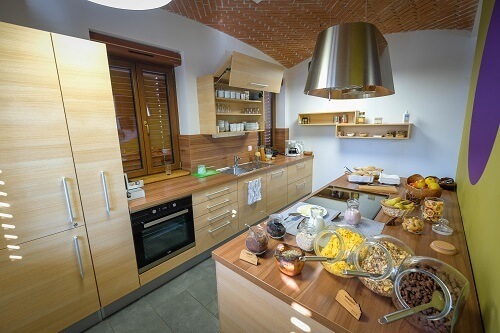 The room rates already include fresh breakfast with local ingredients, to start your day well and healthy. 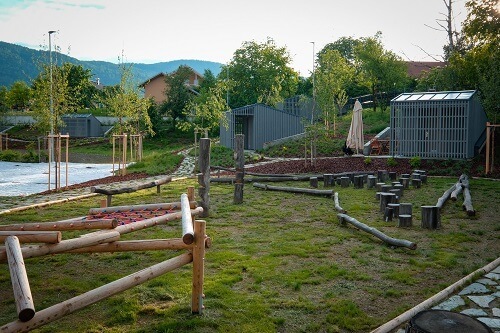 The Bearlog hostel is all about nature, forest and bears – the main theme of the Kočevsko region. Even the bedding has the bear footprints on it. We also love its locally made wooden souvenirs. 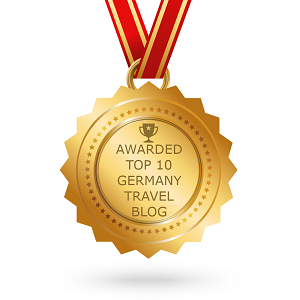 To top it all off, you will be welcomed by really friendly staff, full of information about local life, tourist attractions, activities. 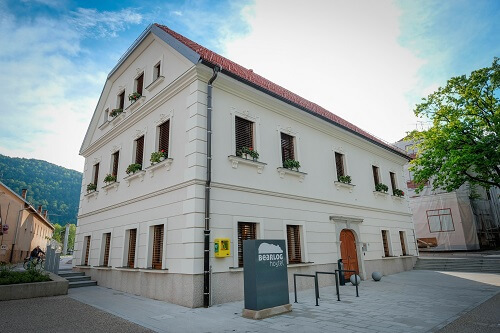 If you’ll be traveling to Kočevsko by your own car, motorbike or bicycle, the Bearlog hostel also has its own private parking space available. 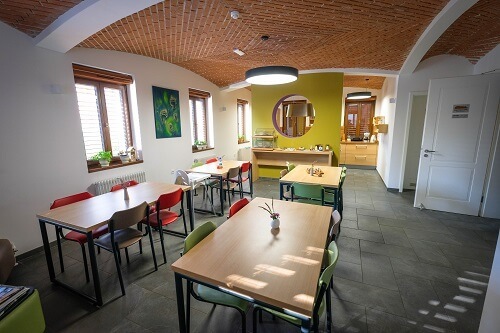 You can read more about the Bearlog hostel here or you can also see some more reviews here. If you are visiting Kočevsko with a ten or RV, you will find small, but nicely done camping place in the vicinity of the Kočevje Lake. There are even 4 wooden cottages available if you’re more into staying in the camp, but you are traveling without a ten tor RV. 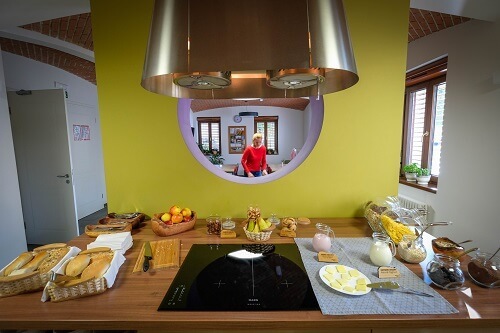 You will also find beautiful and very clean toilets, showers, kitchen, dining area in the camp Jezero. There’s also a washing machine available. 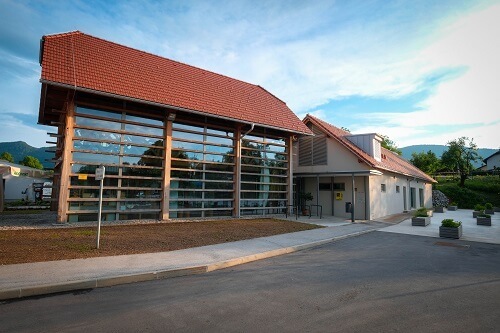 The front desk for the Camp Jezero is at the tourist information center before the camping area, where you’ll also find all the needed tourist information, maps and brochures for your further exploration of Kočevsko area. 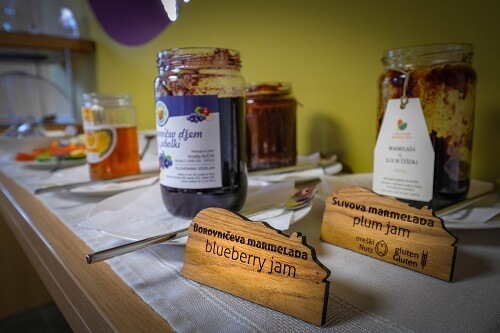 There are many different restaurants in Kočevsko, but we were recommended four by the locals. Unfortunately we only tried two. The cottage at Mestni Vrh – if you’ll be hiking, Mestni Vrh is one of the favorite spots among locals. There’s a cottage offering some local food too. 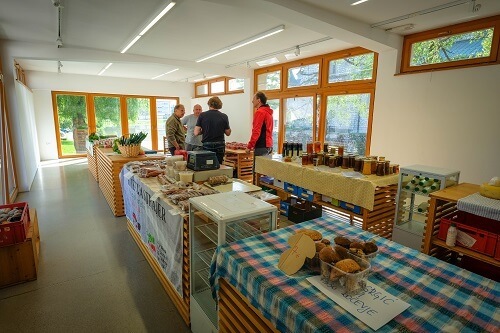 Farmers market – you won’t get lunch there, but you can sure buy some local ingredients there – the market is opened on Wednesdays and Saturdays, (8-12 am). 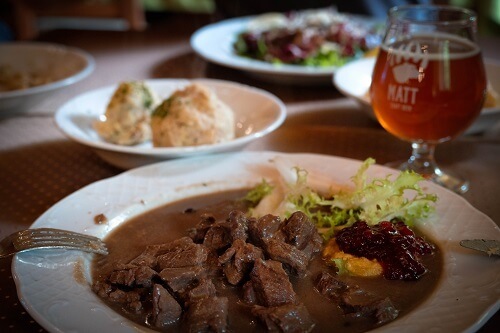 Gostilna Madronič – If you’ll be stopping at the Kolpa River and enjoy fish for lunch or dinner, make sure to stop at this place. It is said they offer the best fish in Kočevsko.